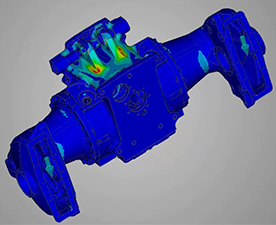 ANSYS Discovery Live provides instantaneous simulation, tightly coupled with direct geometry modelling, to enable interactive design exploration and rapid product innovation. It is an interactive experience in which you can manipulate geometry, materials & physics while instantaneously view the updated 3D results. 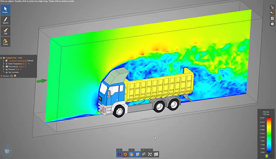 The instant, interactive simulation environment of ANSYS Discovery Live allows engineers — at all levels and in every discipline — to explore their concepts and designs. 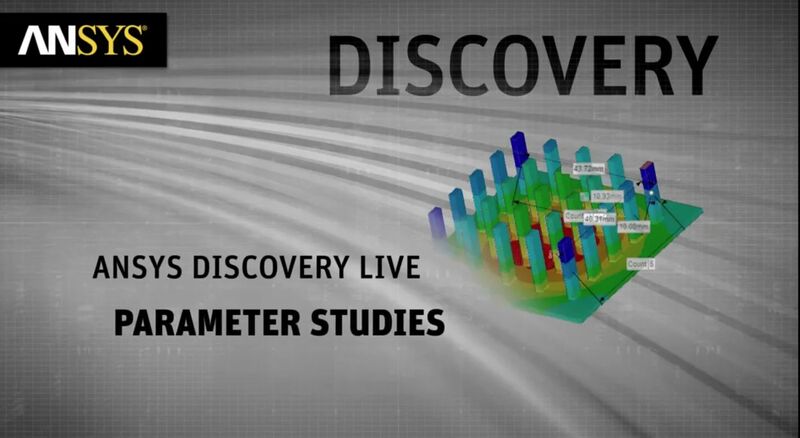 Dramatically easier to use than other simulation tools, Discovery Live performs simulation in near real-time. Run your first analysis concurrently as you design. Interactively iterate and explore the impact of changes with immediate results updates. Engineers no longer need to wait for geometry modification, re-meshing and resolving. Discovery Live begins re-computing results immediately, without a need to start over. As quickly as you generate questions, Discovery Live has answers ready for viewing. 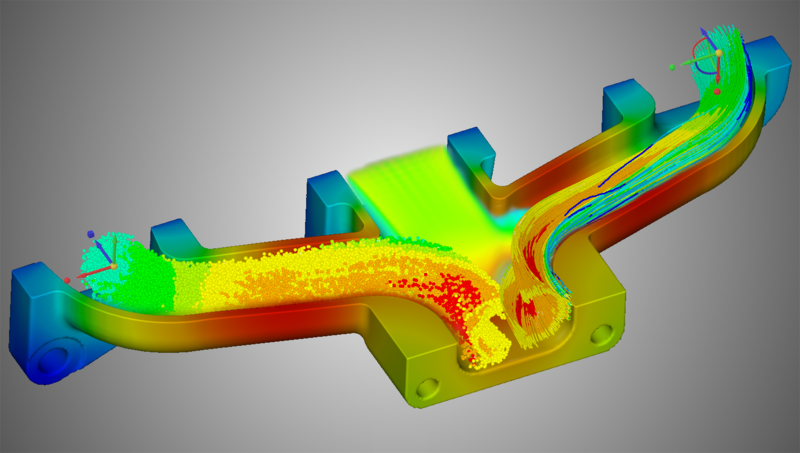 In a fluids application, for example, no other engineering simulation tool allows you to adjust the location, rate and size of a particle stream in one instant, then immediately switch to a composite view and see maximum pressures throughout the model. With the addition of the powerful SpaceClaim direct modeling technology, you can explore a 3-D space without traditional modeling bottlenecks, then instantly know how well your design will perform. 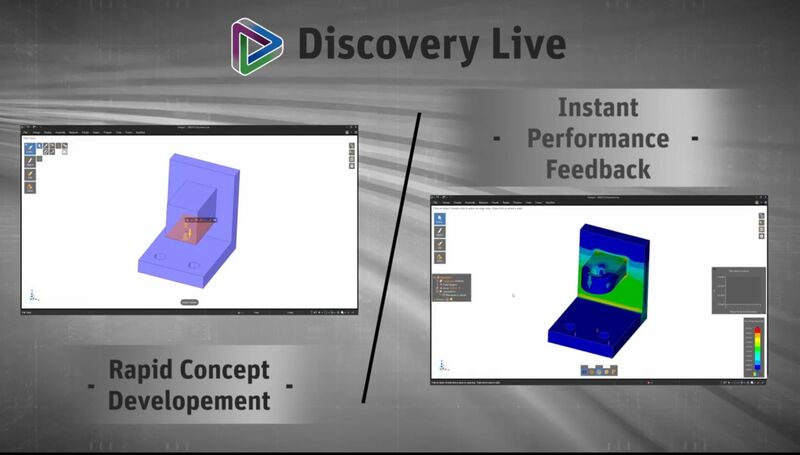 Discovery Live is an invaluable tool for lightweighting as it offers rapid geometry modifications and an instantaneous simulation experience that allow for the design of structurally optimized parts. Discovery Live provides real-time data on temperature distribution as you make 3-D model changes, or change input characteristics like heat flow and material type. Most importantly, Discovery Live lets you test your ideas in real-time to achieve your design goals in a fraction of the time. 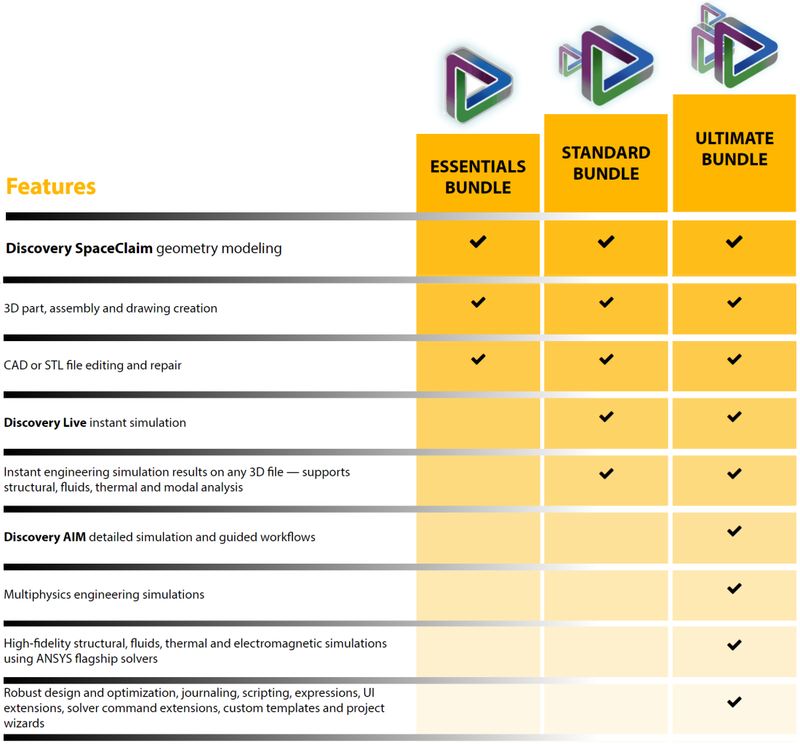 Getting started with ANSYS Discovery Live requires little more than a few mouse clicks. 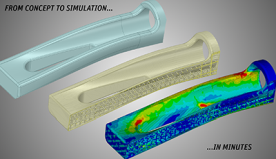 The engineering simulations are instantaneous as you change boundary conditions or make quick, 3-D modeling changes. 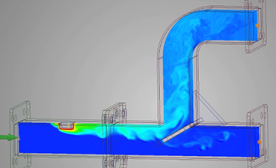 You can observe velocity, external forces, pressure, flow lines, particle flow and more to make physics-directed design decisions. The Discovery product bundles are available with annual subscriptions to offer the greatest flexibility and best value.